Are you dealing with the Dark Side? Who only cares for itself? Not caring about anyone else? who is of logical mind? so that you can come together? 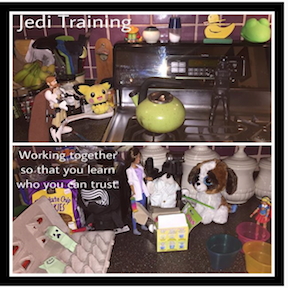 Next Jedi Training – Trust takes time.